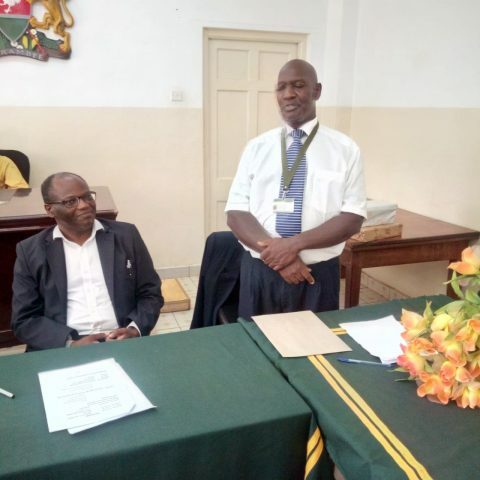 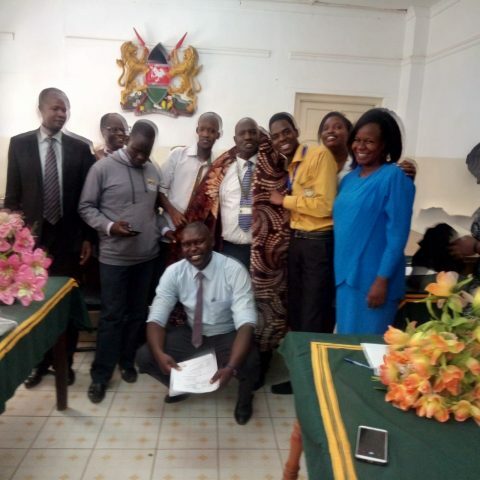 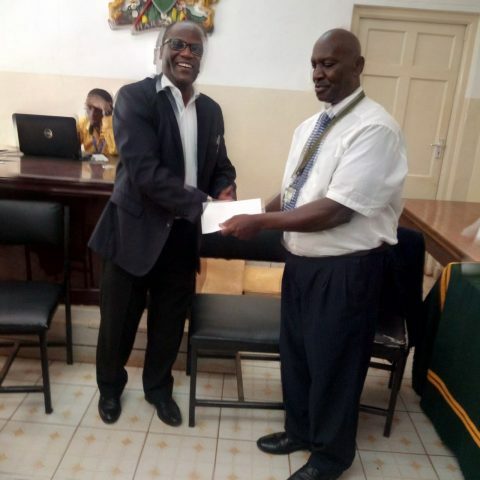 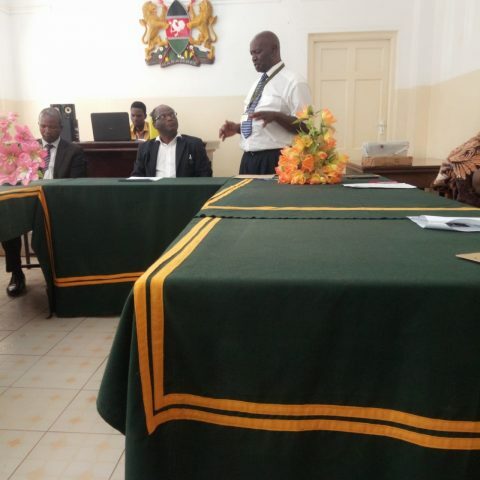 It was joy at Kabarnet law courts when staff held a farewell party in honour of Mr Cyrus Kiambo, who was serving as the Court’s Executive Officer. 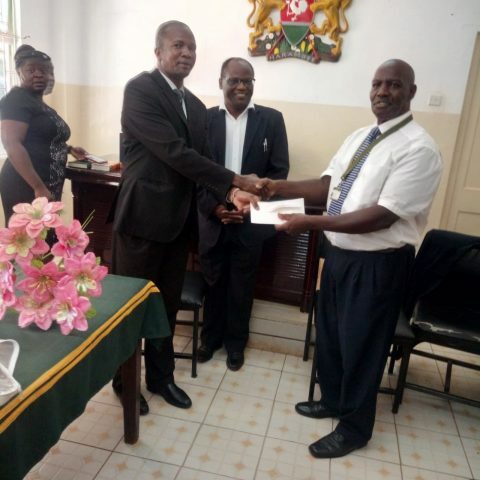 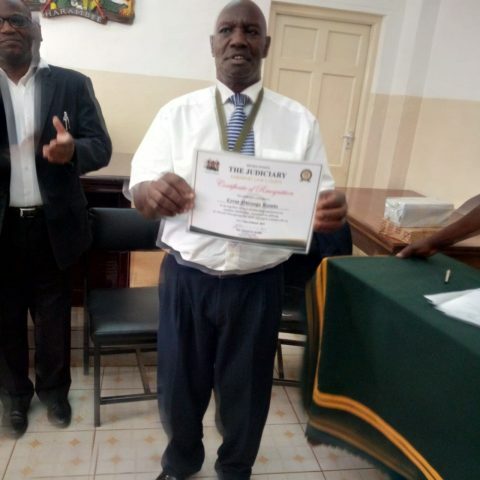 Mr Kiambo retired on March 1, 2019, after serving the Judiciary for 39 years. 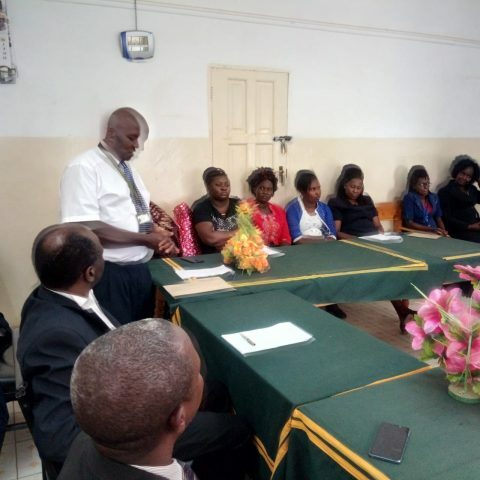 “To succeed, you must understand how to live and work with others and be one another’s keeper especially during the time of need” Kiambo said. 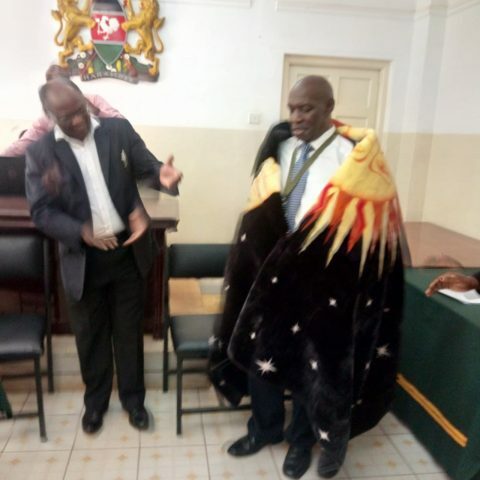 The party was graced by Kabarnet High Court Presiding Judge Hon.Edward Muriithi. 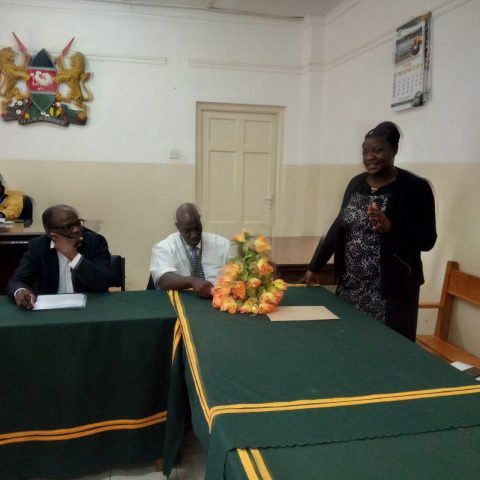 Senior Principal Magistrate Hon Paul Biwot and Resident Magistrate Hon Viennah Amboko were also present at the event.